You’ll take a long time to beat that record. Tyler “Ninja” Blevins got his 5,000th win in Fortnite: Battle Royale last night, becoming the first player in any PC server to hit that milestone. He was livestreaming the match and also uploaded the video of the win on his YouTube channel. 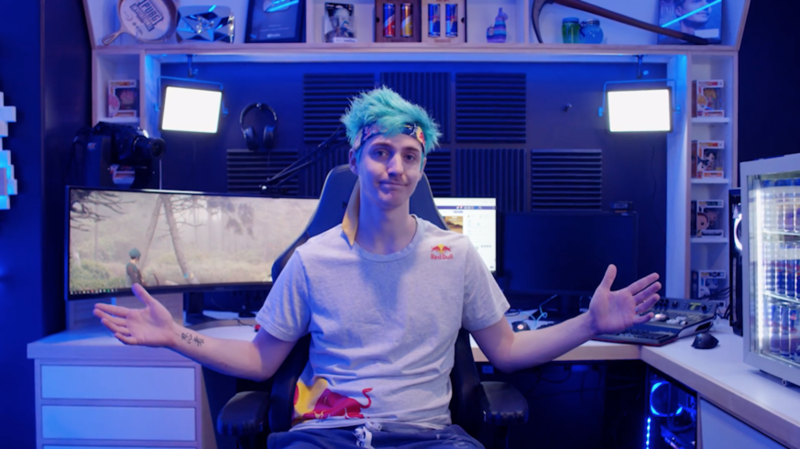 Ninja also holds the record for most kills total across all matches on the PC with over 97,400 kills at the time of writing, according to Fortnite statistics website Fortnite Tracker. Ninja played over 13,500 matches to reach these milestones. He won 37 percent of his matches, which is impressive in comparison to regular players but only about the 65,000th best in the game. Related: Tfue vs. Ninja: Comparing 2 of the biggest Fortnite streamers. Getting 5,000 wins in Fortnite proves once again how skilled Ninja is. He became the face of Fortnite and grew his audience on Twitch and beyond gaming because of his high-level gameplay and charisma. He streams for several hours almost everyday on his Twitch channel, which has the highest number of followers on the platform and averaged nearly 71,000 viewers every stream in the last six months, according to Twitch statistics website SullyGnome. Despite Ninja’s incredible milestones in Fortnite and Twitch, he has yet to become successful in the competitive scene. He failed to qualify for the grand finals of the latest official tournament, Winter Royale, by falling short of scoring a single point in the semifinals. He was also far from being a contender for the title in the Fall Skirmish events that took place in September and October, which were dominated by FaZe Clan players like Turner “Tfue” Tenney and Dennis “Cloak” Lepore. But his competitive history has little influence over his accomplishments on and off-stream, or over how much he’s crossed over into mainstream stardom by playing Fortnite. He was on the Tonight Show to teach Jimmy Fallon the Pon Pon Dance, played the game with Ellen DeGeneres on her show, and reached 600,000 concurrent viewers to his Twitch channel while playing Fortnite with rapper Drake. The milestone of 5,000 wins is just another record for Ninja, who seems ready to keep growing in popularity. Correction Dec. 28 at 7:17 am CT: A previous version of this article failed to specify Ninja is the first PC player to reach that milestone, not the first player on any platform. We regret the error.